Self-employment among older age groups is rising. A better understanding of the role of self-employment in extending the working lives of individuals is, therefore, relevant from a policy perspective. By bridging the gap in the literature on work/retirement decision-making and entrepreneurship, the present study examines the factors associated with entry into self-employment post-retirement, after a worker has left a regular salaried position. This decision is modelled as a choice between full retirement and prolonged labour force participation, in the form of either a typical wage-providing job or self-employment. Data were derived from the Netherlands Interdisciplinary Demographic Institute Work and Retirement Panel, an ongoing longitudinal survey of older workers (50 years and over) employed by three private sector organisations and employed as civil servants in the Netherlands. These data were then analysed using multinomial logistic regression analysis. The results of this study show that the decision to pursue self-employment is primarily taken by retirees with relatively high levels of financial and human capital (wealth and educational attainment), those possessing entrepreneurial attitudes (high self-efficacy scores) and those who perceive their retirements to be completely involuntary. The results lend support to self-employment being selected as a postretirement path through opportunity rather than out of necessity. The fact that the retirements of the studied population were generally quite early, while not considered involuntary also suggests that the timing of the decision to retire may be driven by the emergence of new (business) opportunities. 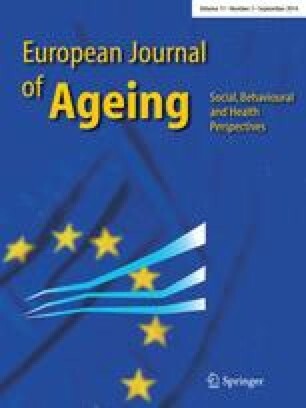 The author received a Grant for this research from the Network for Studies on Pensions, Aging and Retirement (Netspar Research Grant 2011).